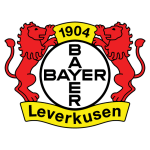 Bayer Leverkusen vs Hannover 96 predictions for this weekend’s German Bundesliga. Leverkusen look to make amends on their worst start to a season in 21 years against Hannover at the BayArena on Saturday. Read on for our free betting tips and match preview. Bayer Leverkusen went into the international break having earned just one point over their last two matches. A disappointing 0-0 draw away to Freiburg last time out followed a hard to take 4-2 defeat at the hands of Borussia Dortmund. Die Werkself only have seven points on the board after seven matches and haven’t been worse off at this stage of a campaign in 21 years, something that no doubt puts pressure on coach Heiko Herrlich. One serious issues coach Herrlich needs to address is his side’s inability to hold onto a lead. Leverkusen have gone on to lose in three of the five matches that they’ve been ahead in, and their nine points dropped from winning positions is more than any other side. Hannover 96 will have been very relieved to get their first win of the season last time out following a VERY rocky start. Their 3-1 win at home to Stuttgart brought to an end a run of four consecutive defeats. Most important for the North Germans will be that loanee Bobby Wood got his first goals in Hannover colours – and his first Bundesliga brace – giving them more firepower up front alongside forward Niclas Fullkrug, who was the third highest scoring player in the Bundesliga last season. However, away to Bayer Leverkusen is arguably one of the toughest fixtures of the season for coach Andre Breitenreiter. He looks to end their run of 10 consecutive Bundesliga away defeats against them. So what looks worth backing here? For us, the value lies in a high scoring game. For starters, Leverkusen and Hannover have two of the worst defensive records in the Bundesliga – a good starter for goals at both ends. Leverkusen have kept just three clean sheets from their 10 competitive outings so far in the 18/19 campaign (7 Bundesliga, 2 Europa League and 1 DFB Pokal), and most of those were against weaker offenses that Hannover’s. Hannover, meanwhile, are on a 20-game wait for a Bundesliga clean sheet on the road – one of their worst ever tallies. However, neither side has been struggling for goals. Leverkusen have scored 8 goals over their four competitive home matches this season, while Hannover have scored at least one in three of their four matches away from home – in fact, the only match they failed to score in they had a man sent off in the first half. How many goals is another question though. And over 3.5 goals looks the best line. Bayer Leverkusen do have some capable attacking talent like Kevin Volland, Lucas Alario, Leon Bailey and Julian Brandt, and Hannover’s defense on the road is the leading factor in this match – the North Germans have conceded 3 goals or more in four of their last six away games. But that’s not to say that Hannover couldn’t get a goal themselves either, with both teams scoring in 9 of their last 12 Bundesliga away outings. Hannover are a capable enough side but given their long struggle to take points away from the BayArena (see head-to-head) we feel like this is a good opportunity for Leverksuen to get a result. Our prediction: 3-1 Leverkusen. Leverkusen have a total of 7 points – their worst tally at this point in a Bundesliga season for 21 years (also 7 in 1997/98). 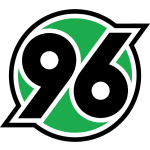 Hannover are winless in 16 Bundesliga away games (D5 L11). Hannover are on a 20-game wait for a Bundesliga clean sheet on the road. Over 3.5 goals were scored in 67% of Leverkusen’s home and 57% of Hannover’s away matches this season.